UniversalNurse Speaker is a new translation tool to facilitate multilingual healthcare communication between Nurses and Patients who don’t speak the same language. 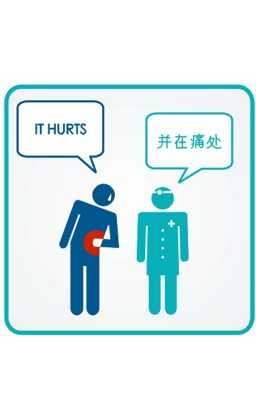 The tool is tailored to support Nurses in communicating with patients in different languages. 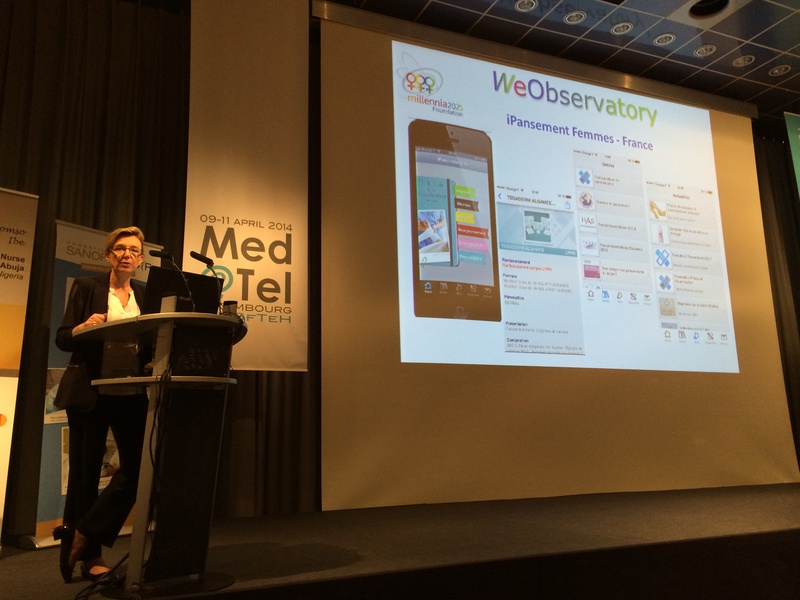 UniversalNurse Speaker was launched by Dr. Jordi Serrano Pons at the Special Session on Women at MedeTel, hosted by the Women Observatory for eHealth (WeObservatory) and the ISfTeH’s Working Group on Women. 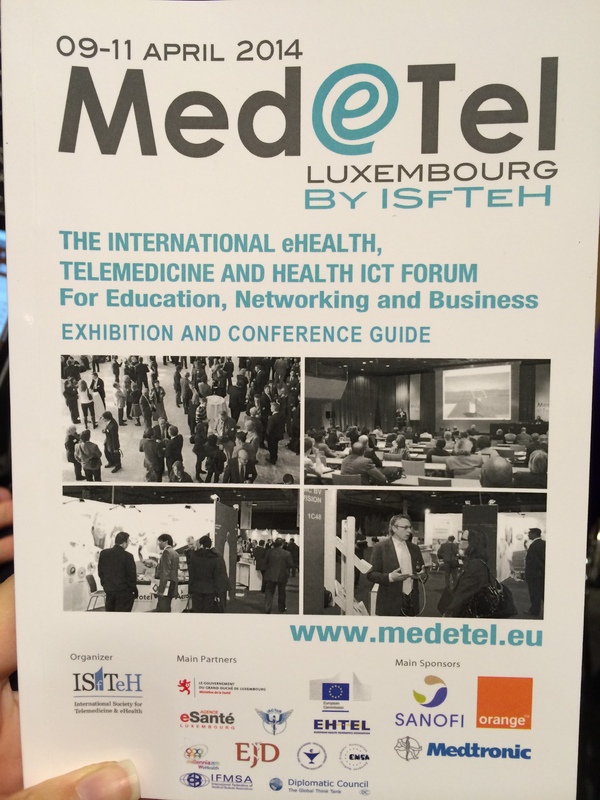 MedeTel is the International eHealth, Telemedicine and Health ICT Forum, an official event of the International Society for Telemedicine & eHealth (ISfTeH). 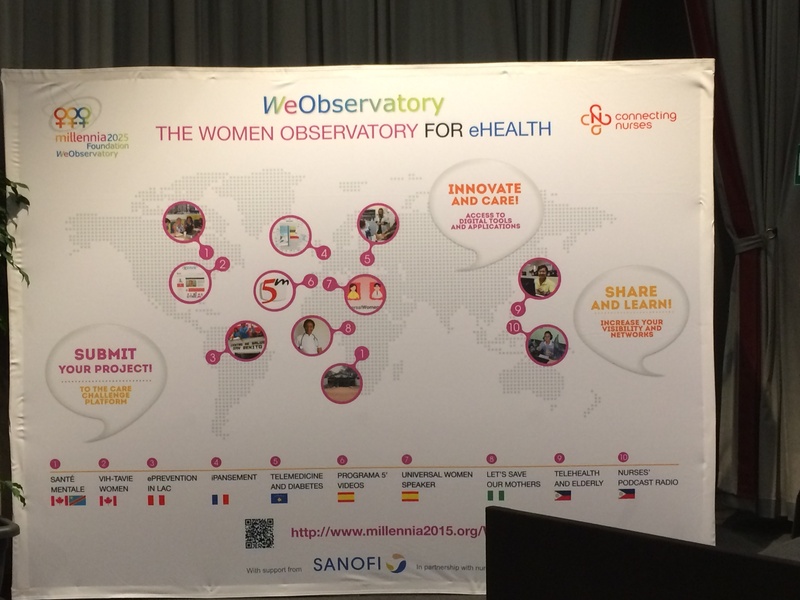 Thirteen presentations were made during the session, covering various aspects of eHealth and Telemedicine in diverse contexts, to address the health needs of women in underserved areas, through big data solutions, use of social media, education and research, multilingualism and connected platforms. 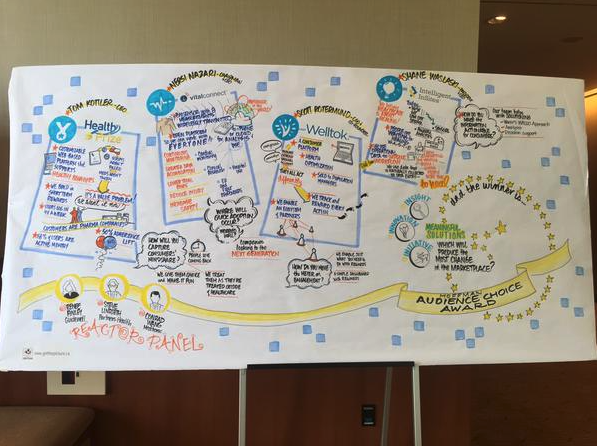 Download the full report from the session here. 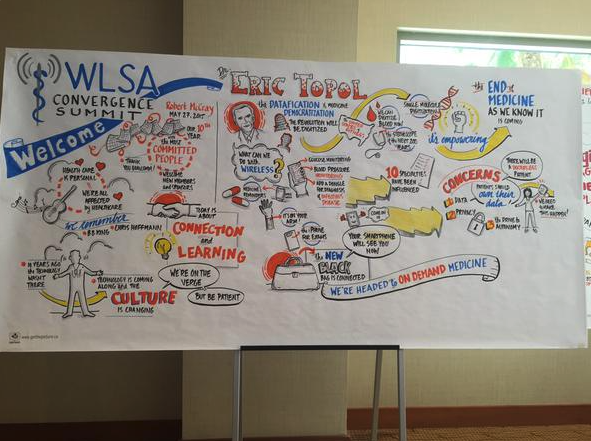 to support healthcare communication by Nurses by overcoming language barriers with patients. 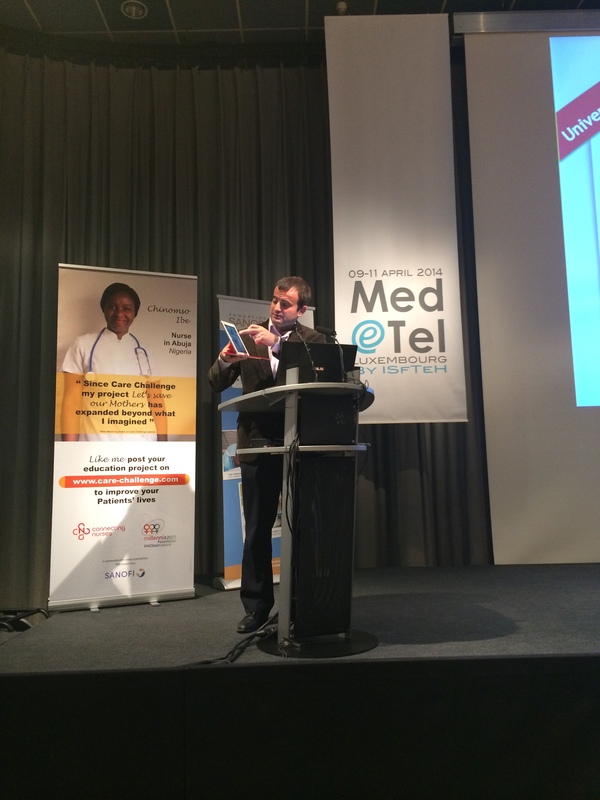 UniversalNurse Speaker is powered by UniversalDoctor translation technology used by hospitals and patients worldwide. Photos kindly shared by: @lygidakis — @vthouvenot — @DrKristie — @JeannineLemaire — @UniversalDoctor. 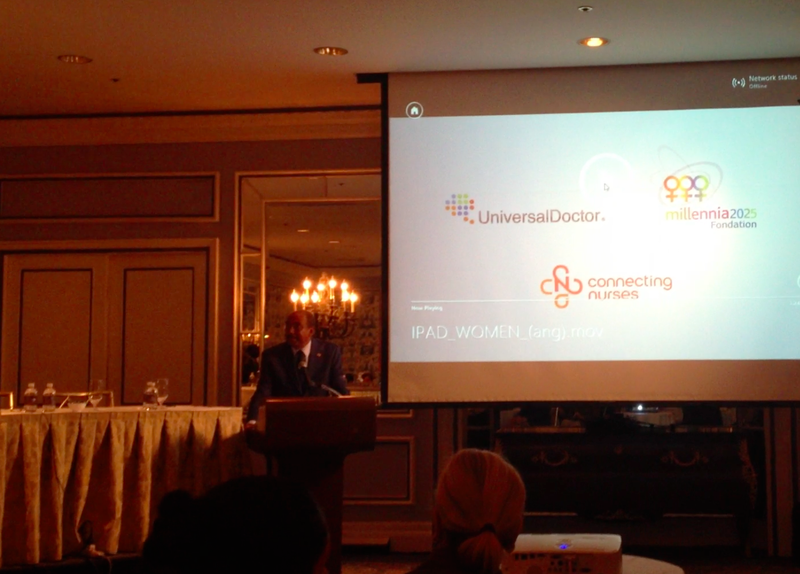 Dr. Jordi Serrano Pons, the founder of UniversalDoctor Project, presented at the Women Leaders Forum on the “Scaling up Innovations for Women’s Health” Roundtable. 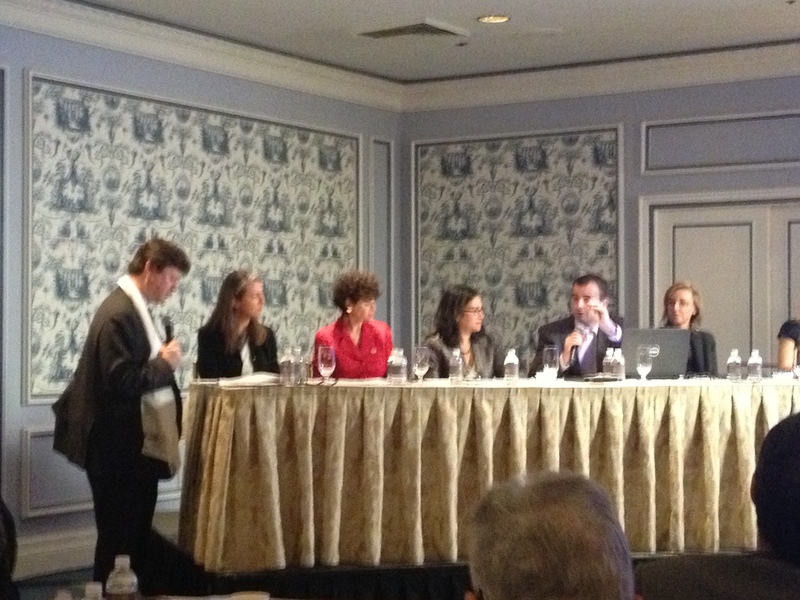 The founder of UniversalDoctor, Jordi Serrano Pons, presented last week on a panel focused on “Scaling Up Innovations for Women’s Health” at the Women Leaders Forum. 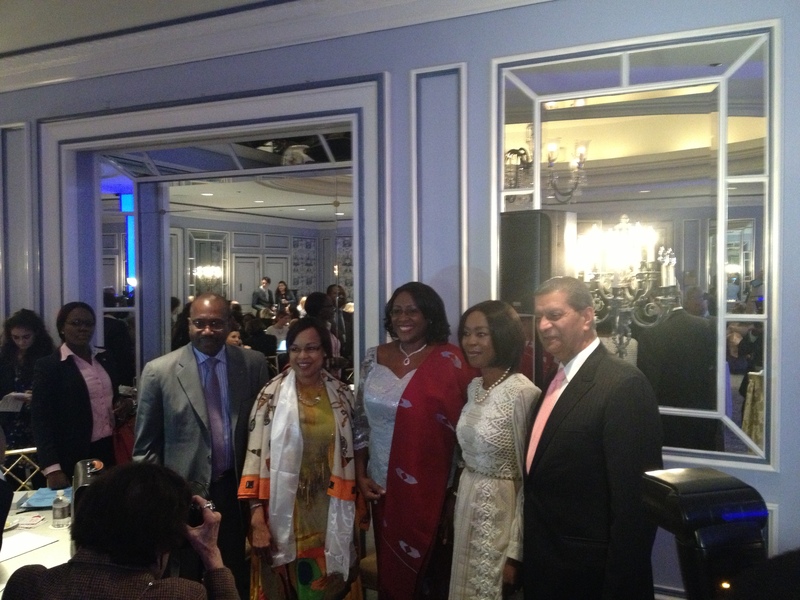 It was an official side event of the United Nations General Assembly organized by Advanced Development for Africa Foundation, the Global Partnerships Forum, and the Global Digital Health Initiative, in cooperation with the ITU and UNAIDS, with First Ladies and high level individuals focused on women’s health and mobile health in attendance. UniversalWomen Speaker, our new multilingual tool for pregnancy, childbirth and maternal health, was also launched at the Women Leaders Forum. Muhammad Yunus, Chairman of the Yunus Center presents the Keynote address. 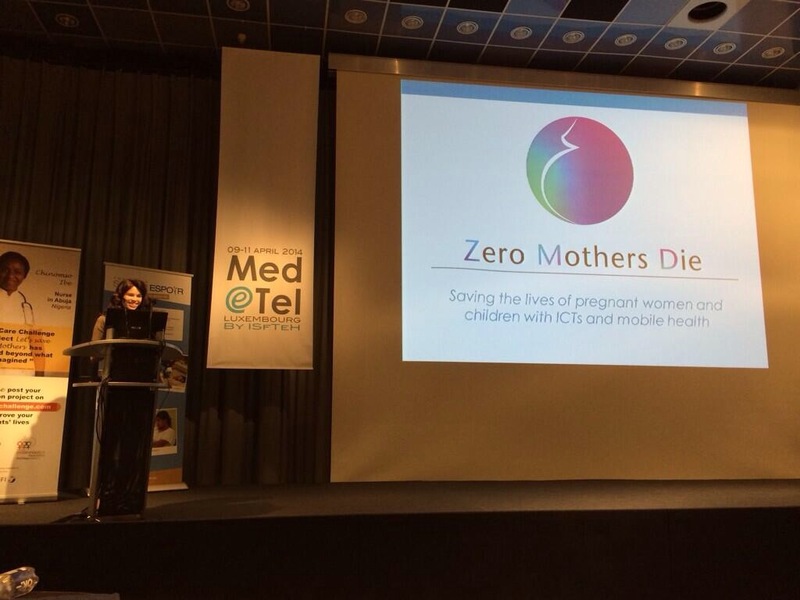 Michel Sidibé, the Executive Director of UNAIDS, launches Zero Mothers Die, a partnership project using mobile health for maternal health which UniversalDoctor is a partner of. UniversalWomen Speaker is the flagship mobile health tool being developed for the UniversalWomen Project – a joint venture between UniversalDoctor and the Millennia2025 “Women and Innovation” Foundation to promote equal access to maternal healthcare information by reducing language barriers between healthcare professionals and women. UniversalWomen Speaker is available as a free download for your iPad, download it today by clicking on the image below! UniversalWomen Speaker is a new multilingual tool providing medical translations on pregnancy, childbirth and overall maternal health in initially six languages. UniversalWomen Speaker facilitates multilingual communication between women and healthcare professionals who don’t speak the same language. We are proud to announce that UniversalWomen Speaker will be launched at a panel on “Scaling Up Innovations for Women’s Health” at the fourth annual Women Leaders Forum organized by Advanced Development for Africa Foundation and the Global Partnerships Forum with many First Ladies and high level individuals focused on women’s health and mobile health in attendance. 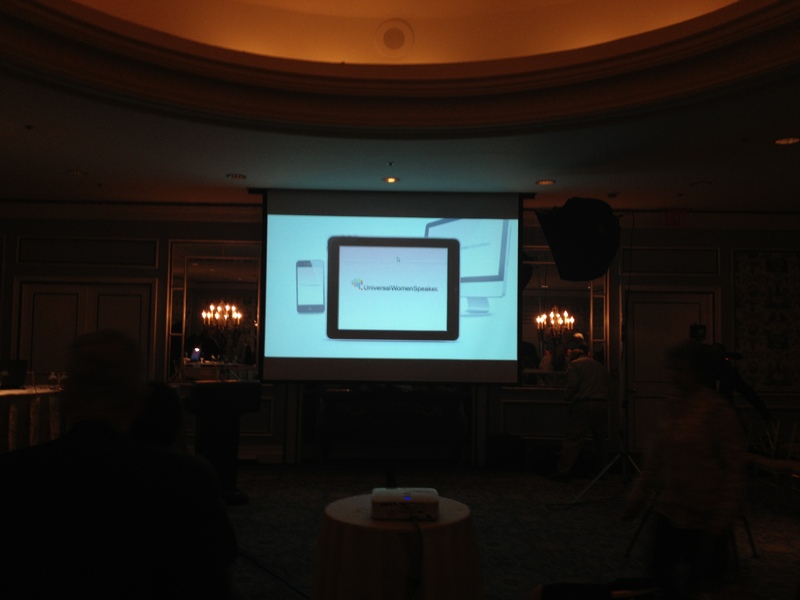 UniversalWomen Speaker is available as an app in the Apple App Store for your iPad. Download it today by clicking on the image below! As part of the UniversalWomen Project, UniversalWomen Speaker is facilitating multilingual communication between pregnant women and healthcare personnel during pregnancy, childbirth and other maternal and women’s health issues. UniversalWomen Speaker is a specific tool for women’s health issues that was initially developed to be used in delivery rooms during childbirth, and has now expanded to cover other maternal and women’s health contexts. The tool has hundreds of phrases used by both patients and healthcare personnel, as well as longer informational messages directed at expectant and new mothers, including recommendations from the World Health Organization and UNICEF on best practices during pregnancy and following childbirth. UniversalWomen Speaker is being launched as a mobile and web application accessible from any mobile device (mobile phones, tablets, laptops, etc) with a unique interface designed to facilitate multilingual communication between women and healthcare personnel. The vision for UniversalWomen Speaker is to deliver a robust tool covering various women’s health issues, starting with pregnancy and then expanding to include other important women’s health and disease prevention topics. In December 2012, Millennia2025 Foundation and UniversalDoctor Project partnered to develop multilingual eHealth and mobile health applications dedicated to women’s health. 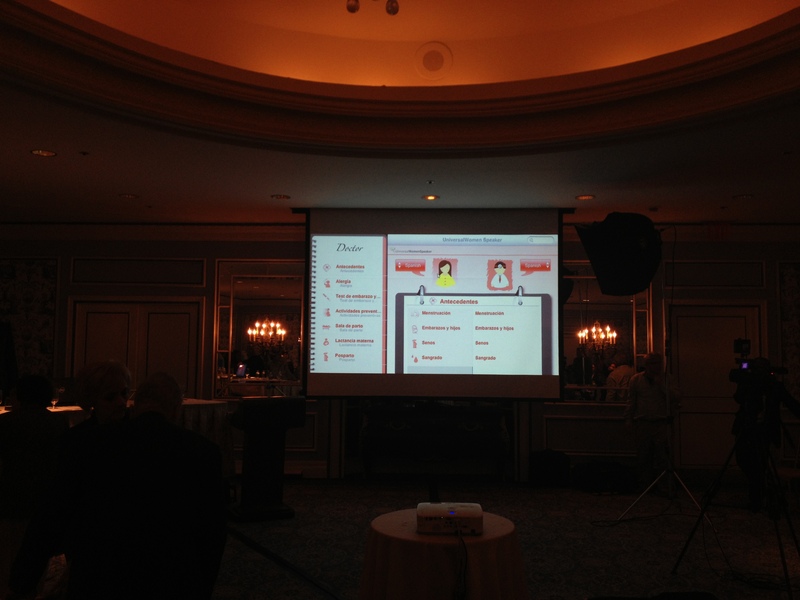 This collaboration has resulted in the development of a new multilingual tool called UniversalWomen Speaker. 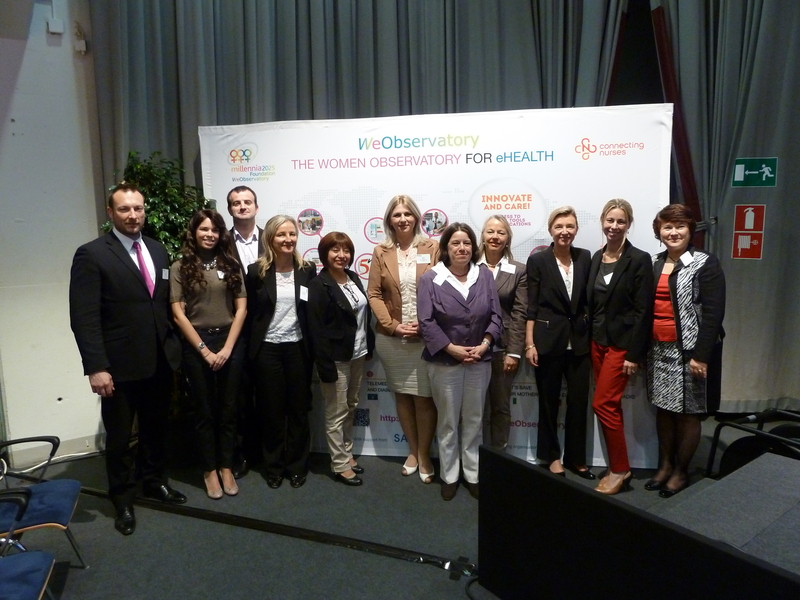 UniversalWomen Speaker was presented at the Special Session on Women and eHealth at Med-e-Tel – the International eHealth, Telemedicine and Health ICT Forum that took place on April 10-12, 2013 in Luxembourg. 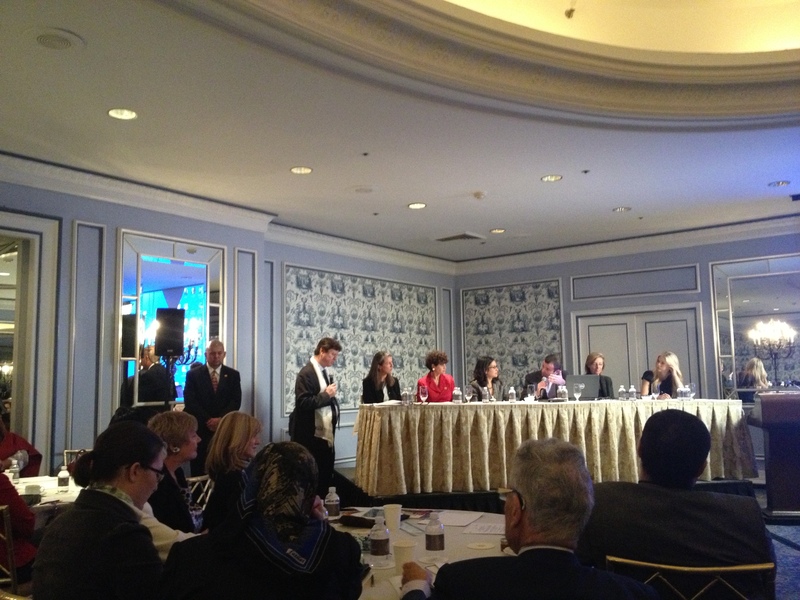 The session was organized by the Millennia2015 International Working Group on Women and eHealth. 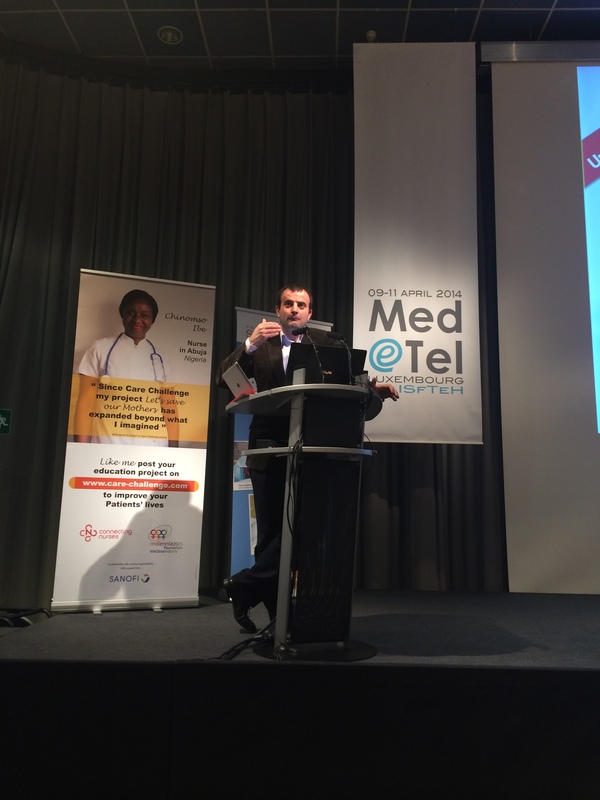 Med-e-Tel is an official event of the International Society for Telemedicine & eHealth (ISfTeH) – an international federation of 74 national associations who represent their country’s Telemedicine and eHealth stakeholders. UniversalNurse Speaker is another tool being developed through the partnership between UniversalDoctor and Millennia2025 Foundation. 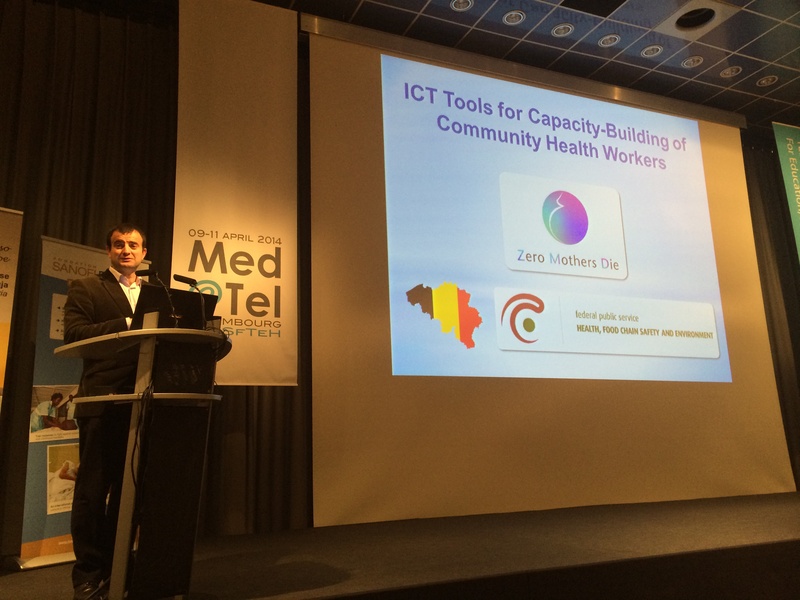 It will also be presented at the Special Session on Women and eHealth at Med-e-Tel 2013. 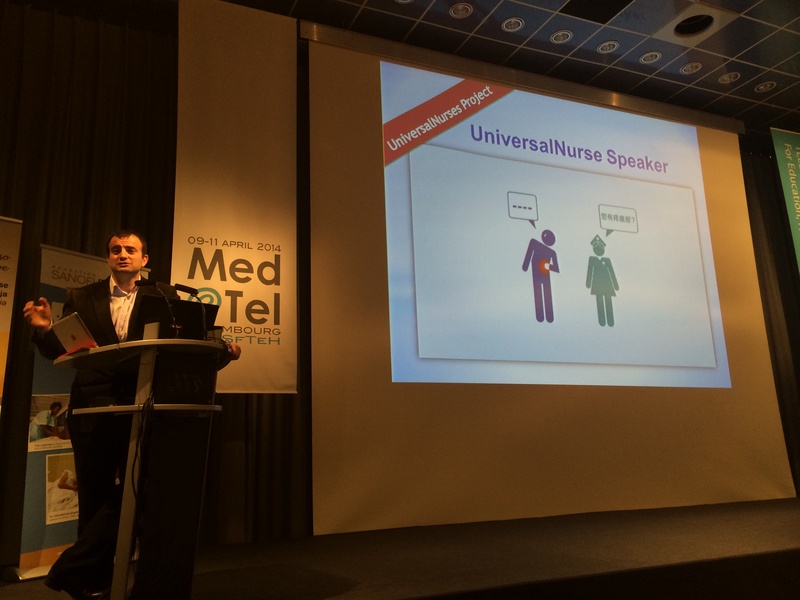 UniversalNurse Speaker will be tailored for and dedicated to supporting Nurses, enabling them to communicate with patients in several different languages. 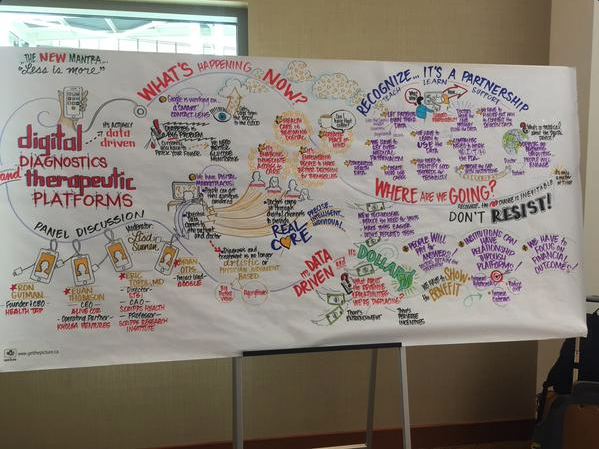 Nurses will feel more empowered to deliver care to patients in diverse multicultural settings. To find out more, watch this video or click on the flyer on the left. 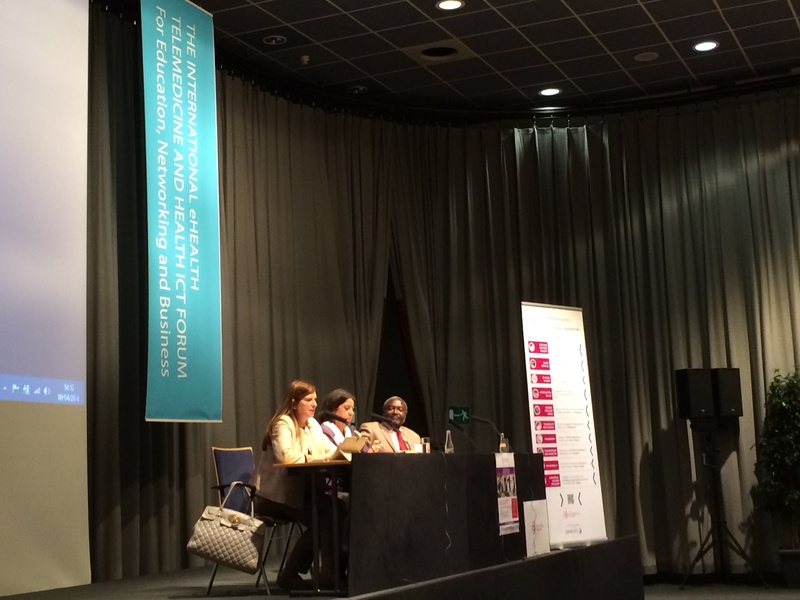 UniversalWomen Speaker and UniversalNurse Speaker were announced at the Millennia2015 2nd International Conference at UNESCO Headquarters in Paris on 3 December 2012. 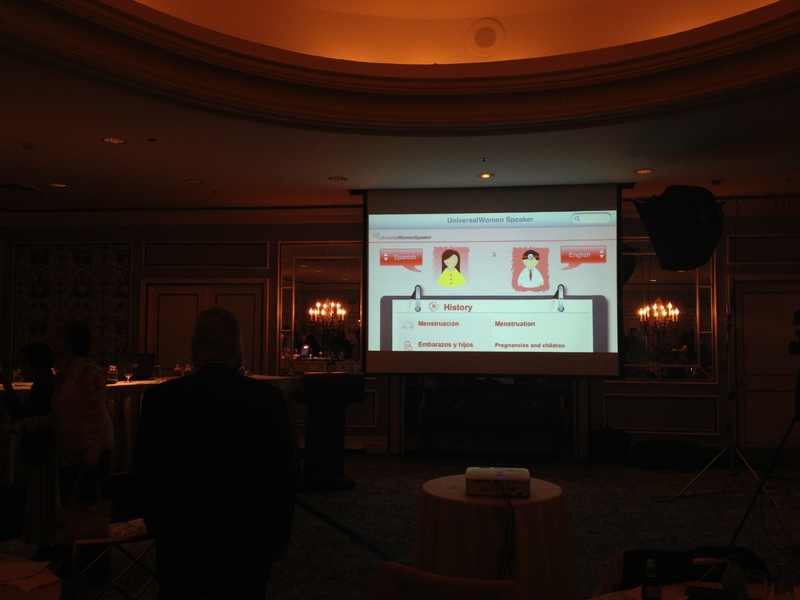 In December 2012, Millennia2025 Foundation and UniversalDoctor partnered to develop multilingual eHealth and mobile health applications dedicated to women’s health. Millennia2025 and UniversalDoctor will collaborate to disseminate multilingual eHealth tools dedicated to women’s issues and maternal health, known as UniversalWomen, and a new tool tailored for Nurses, called UniversalNurse Speaker. Millennia2025 Foundation is the supporting foundation of Millennia2015. With 484 experts from over 65 countries organized into regional communities and international working groups, Millennia2015′s main objectives are to reinforce and promote women’s empowerment and their full participation in political, economic and social decisions with respect to human rights and gender equality. Millennia2015 achieves this through prospective research and investigation; they have identified 37 critical variables on which they organize research and conferences. One of these is a two-year study on Women, Health and ICTs and the intersection across these three domains. Summertime is here (along with the heat wave!) and that means vacations are starting for many. This also means it’s peak tourist season as many of us will be traveling to different places around the globe, hoping to find that particularly special escape from our daily lives. 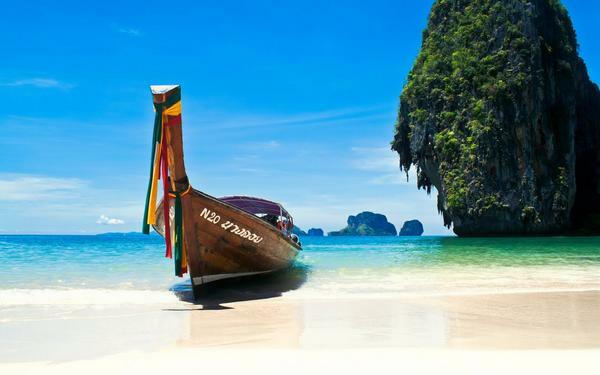 So what will it be this year – are you off to a hot or cold destination? No matter the destination (or the weather), there is one thing every traveller thinks about, especially if they’re traveling with their family to foreign destinations – safety. 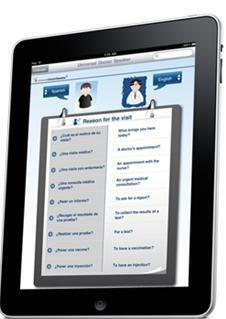 Do you have the tools and information you need to travel safely and securely? One important aspect of safety is our health. Research has shown that roughly half of overseas travelers develop medical problems during their journey. What would happen if you or a loved one got sick? What if you had to seek medical care in a foreign country? Our team here at UniversalDoctor thinks about this constantly, always looking at how we can use our core strengths to help you stay in good health, even abroad. 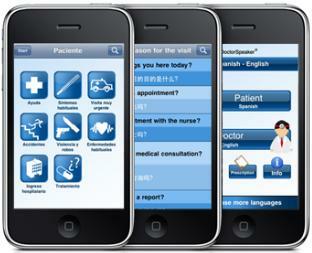 That’s why we developed a mobile application that uses the technology of our multilingual software system for Hospitals. Well, it’s the most comprehensive mobile medical translator app – with thousands of sentences and native audios in 13 languages to facilitate medical visits in over 120 countries. That’s over 60% of the world’s countries! It covers every step of medical visits, whether you’re in a hospital or primary care clinic, starting from accurately explaining your symptoms to understanding your diagnosis and treatment. How do we do this? 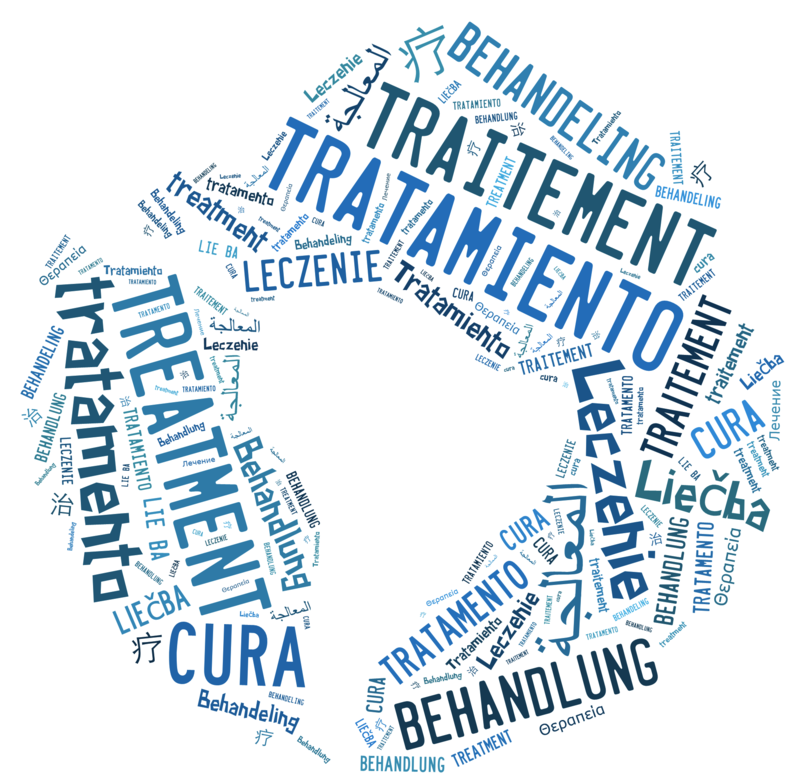 By providing translations from both the patient side and the doctor side that are organized in a way to facilitate multilingual communication between you and a doctor. OFFLINE MODE – the app works entirely offline so you don’t need any connection or data plan to use the app. And best of all, it doesn’t add any weight to your suitcase as it operates directly from your mobile device (iPhone or iPad… Android version coming soon!). Now you may have noticed that we said 13 languages earlier, but there are 12 currently in the app… that’s because we’re just about to launch a NEW language that has been in very high demand by our users and will come in very handy during the upcoming vacation season! 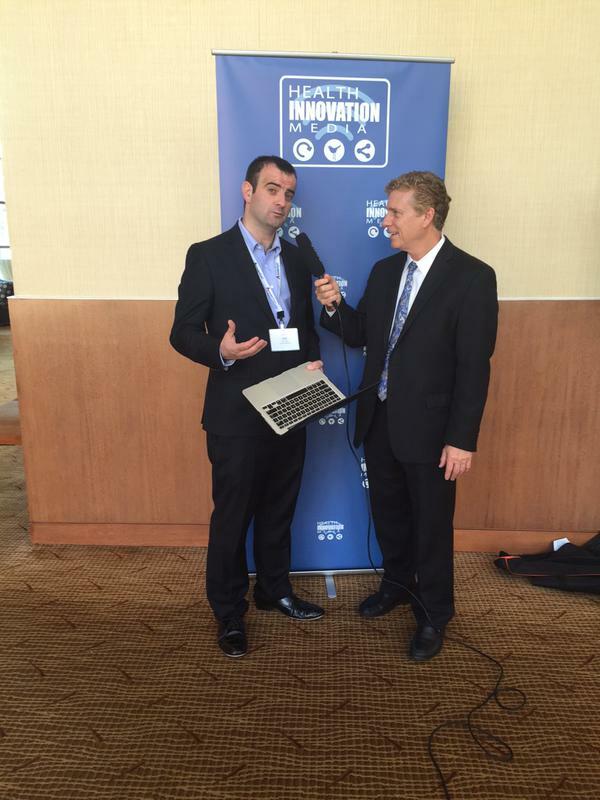 MIHealth FORUM is the benchmark global forum for clinical innovation and health management. 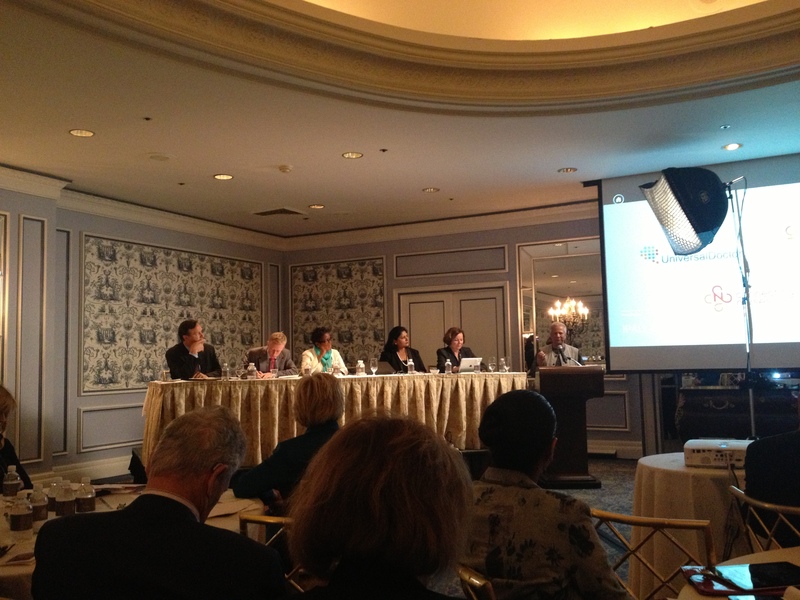 UniversalDoctor was honored to co-sponsor the second MIHealth Forum in Barcelona, which took place last week. 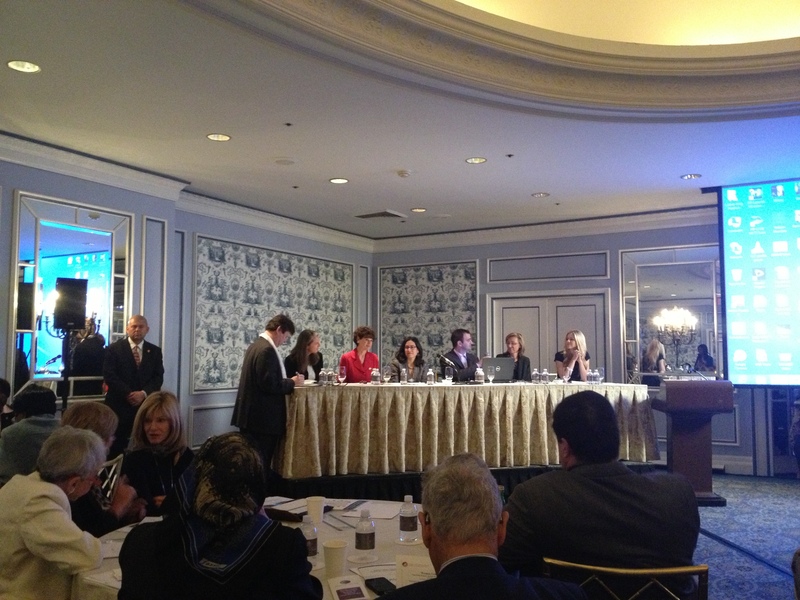 The focus was Health Management and Clinical Innovation. 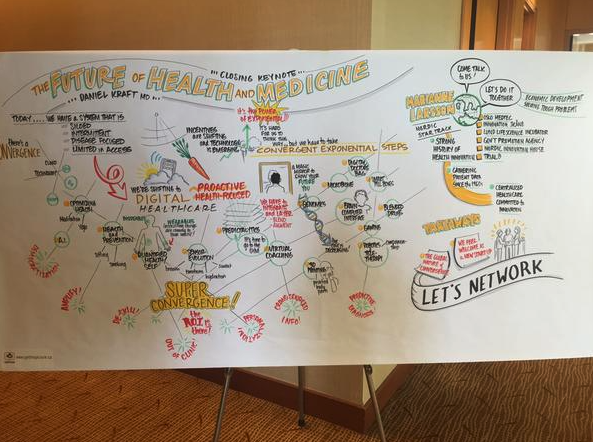 Seventy leading international experts discussed the future of healthcare, with about 1,200 attendees from around the world. The list of topics that were analysed in Fira de Barcelona’s Palau de Congressos covered managing chronic illness; the use of technologies in the field of healthcare; encouraging innovation among clinical personnel; the involvement of citizens in the design of the healthcare system; and the analysis of success stories, such as the knowledge transfer programme of the North American University Hospital, Johns Hopkins, which has successfully exported its model of care and professional education to 17 countries.